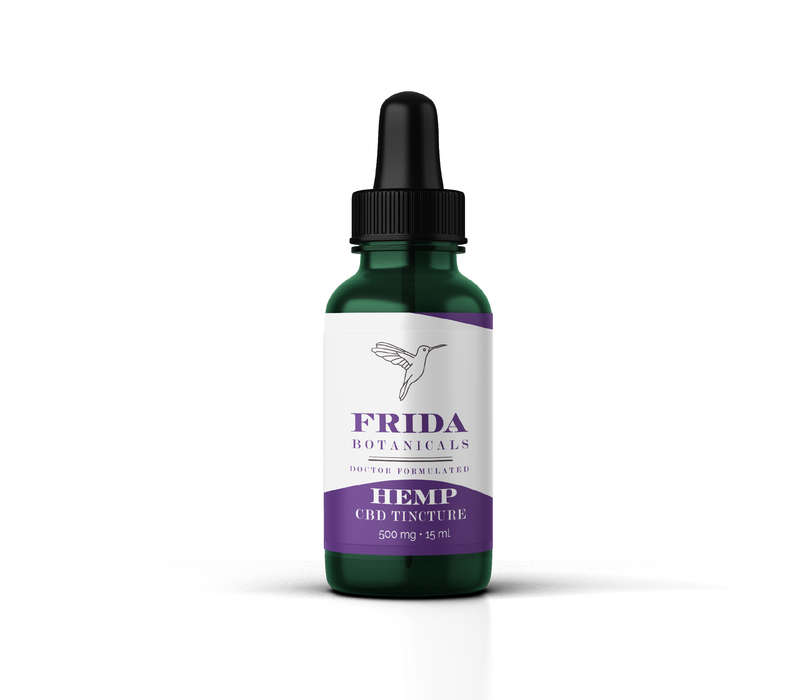 View cart “Frida Botanicals Tincture 15 mL” has been added to your cart. Frida Botanicals CBD Tincture is a full spectrum extract from Colorado-grown organic hemp, and includes other therapeutic ingredients from the hemp plant such as terpenes and other cannabinoids. Frida Botanicals CBD Tincture is a full spectrum extract from Colorado-grown organic hemp, and includes other therapeutic ingredients from the hemp plant such as terpenes and other cannabinoids. In addition to the hemp extract, the tincture contains MCT oil (derived from coconut oil), which has shown multiple benefits in human health, including supporting mitochondrial function and energy production. This tincture is unflavored, but if desired you can add a drop of peppermint essential oil to the bottle and make it minty fresh! We have tested our tincture in a third party lab for the 3 P’s: Potency (how much CBD it contains), Purity (any residual solvents from extraction process) and Pesticides. Click here for our latest lab results. Our CBD is extracted from the hemp plant using a supercritical CO2 process, allowing us to offer you one of the cleanest forms of CBD extract possible. The bottle includes a clearly marked dropper to allow accurate dosage for self-administration. One full dropper contains 33.4 mg of Cannabidiol (CBD) from hemp. This 15 mL bottle contains 500 mg of CBD. Like all full-spectrum hemp extracts, it may contain trace amounts of THC (less than 0.3%). For more information on CBD, see our FAQ page. Directions: Shake well before each use. Squeeze top of dropper to bring fluid to half full (.50 mL). Administer under tongue and wait for 60-90 seconds before swallowing. Take 1-4 times daily as needed. I have chronic joint pain that interferes with daily life. The only medications that have helped me were NSAIDS– until my cardiologist prescribed blood thinners, so NSAIDS went out the window, as they cannot be taken if you are on a blood thinner. I tried to manage my pain with acetaminophen, but could barely function. It was all very discouraging. I decided to try the Frida Botanical Tincture. I had no idea what to expect, so started slowly, taking my first dose in the evening. I slept better that night than I had in a long time. I woke with a clear head and optimism about feeling better. I was not expecting my mood to life that way. I tried the tincture during the day, just wanting to be more functional and less overwhelmed by chronic pain. I felt good! My pain was much reduced. I was able to do housework, go to the mailbox and the library. That is a good day for me. I have come to rely on this CBD tincture. When one has chronic pain, one becomes an expert on remedies. Through trial and error and by reductionism (especially of the pocketbook) I’ve had to create a bare bones list of effective (often inventive) ingredients to put in my “Pain Tool Box”. I used to say that I woke daily to a “knock-down-drag-out” battle between my mind and unwilling body. I needed and wanted a one-size-fits-all pill to make me over in my own best image of myself. It has been a long process of learning to care for myself so as to go on living in this body and by using the best of fundamental constituents that provide a well rounded arsenal to make that living happen. I can report it’s possible for anyone to do the same. But I can provide a few shortcuts. My box has all three Frida Botanicals offered so far. This Tincture looks small, but it is oh so mighty. And I have tried a total of 5 other brands. This product is so far above those in quality and reliability it’s demeaning to even compare them in the same review. I feel that strongly. CBD is difficult to describe in absolutes. But then, so is my body/mind. I will say that this one stays in my arsenal and I use it daily. 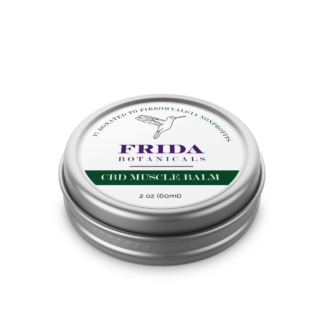 I suffer from Fibromyalgia and have used CBD to help with pain. Out of all CBD preparations I have tried, I have found Frida Botanicals CBD tincture to be the best and most effective. It consistently helps with pain, sleep, and also really helps with anxiety. I use it daily and I am so glad I have finally found a CBD tincture that really does make a difference. This CBD ticture surpasses all others I have tried (and I’ve tried many!). During these past many years I’ve been taking numerous medications for fibromyalgia, chronic fatigue, migraines, restless leg syndrome, insomnia & arthritis. I believe this ticture may be able to lower these daily medications if not remove them entirely. The tincture has an earthy flavor but works quickly. Within minutes I am relieved of pain and discomfort and I’m able to function throughout my day. I strongly urge you to try this ticture and consider giving it as a gift to loved ones who suffer. I’d only consumed CBD chocolate up until this point and I was absolutely clueless as to dosage. The budtenders at my friendly neighborhood dispensary are reluctant to offer clear guidance for medical purposes so I was reluctant to continue use and didn’t see much improvement. Aside from being a potent, high quality product, what’s most valuable to me is the dosage instructions from a trusted source, a doctor. 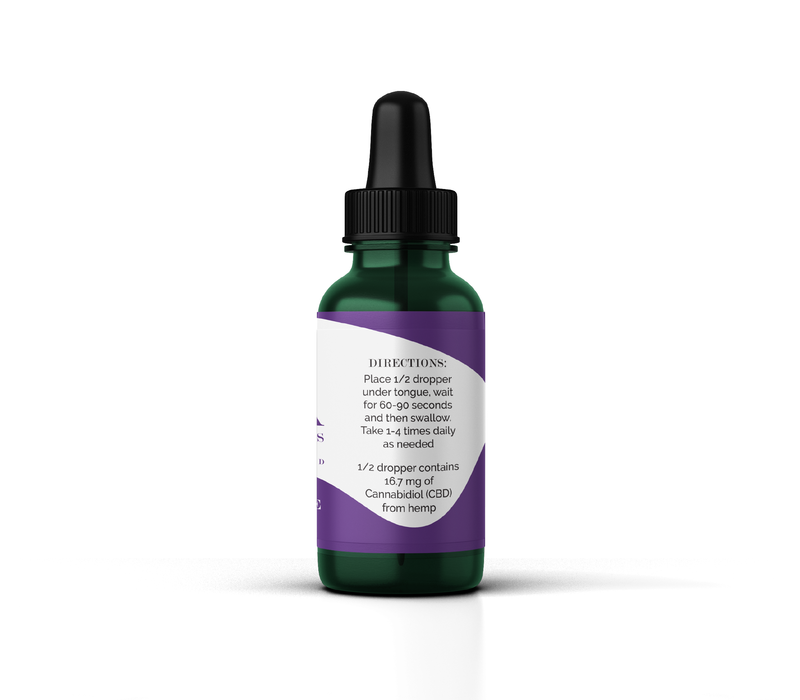 I take the CBD tincture to help with insomnia. I gave up pharmaceuticals several years ago and common herbal solutions like valerian root or melatonin are highly ineffective for me. This potent tincture is a lifesaver for me. I tried this and thought maybe it was helping, but soon after developed a very severe case of reflux and gastritis that I am still recovering from. Not sure how or why, but I must be sensitive to it? I’m disappointed as I really wanted this to work for my fibro, but I can’t take the stomach pain. Hi April. Thank you for reaching out to us! Dr. Liptan asked we reply to you: I’m sorry to hear your stomach didn’t tolerate the CBD tincture. Once your stomach calms down, if you wanted to try CBD again I would suggest a gelcap. PlusCBDoil makes a good one if you’re interested. I am very pleased with the CBD oil. I’ve tried two other brands, and this seems to work better at a lower daily dose. I have fibromyalgia and neuropathy. I feel like it is very effective for anxiety, and sleep, and somewhat effective for the neuropathic pain. What I like about it, is unlike other medicine it does not cloud my brain. I’ve tried several different CBD brands and this is the one. I love that they send each batch to be tested and the measurement tool on the dropper is a plus. I find it to be help with anxiety. Recently I had to to give it up for a month for international travel and definitely saw my symptoms increase while not taking it. I highly recommend this product. It’s nice to be able to trust the source. This is wonderful. I had used Hempworx 500 and while great I felt it didn’t completely do the trick. This however after 3 days I can tell a difference. I have a lot of complex medical issues so I can’t take things with a lot of additives or ingredients. So it’s nice that this is so pure. It doesn’t taste grassy or strong like some other oils or even some mmj tinctures do. I also love the transparency in testing and I also love Dr. L’s videos. They are informative and easy to follow for anyone who is curious or even those that know about CBD. This company also has outstanding and truly helpful customer service. I had a problem with my package and they were excellent with their communication and helping me. That’s too rare these days. I can’t use the other products but no doubt if I could I’d find them as high quality as this product is. Thank you so much!